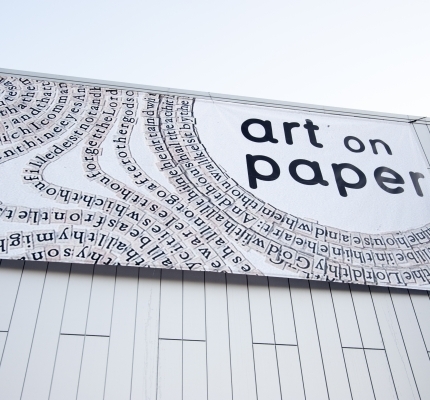 The second edition of Art on Paper has returned to New York City’s Pier 36! Art on Paper will be open all weekend at downtown Manhattan’s Pier 36 featuring 75 galleries from around the world presenting special exhibitions of paper-based art. The fair’s second edition launched Thursday evening to a night of record attendance, andthe buzz has continued as more discover the unique, highly focused exhibitions of incredible quality that have quickly shaped Art on Paper into a The New York Times“Where to go Now” destination. If you are in the area, make sure to go!